Modi, in a statement ahead of his visit, said South Korea is a "valued friend" and an important partner for the government's Make in India, Start-Up India, and Clean India initiatives. The prime minister said collaboration between India and South Korea in the fields of science and technology is encouraging. This is Modi’s second visit to South Korea since 2015 and a second summit with President Moon Jae-in. 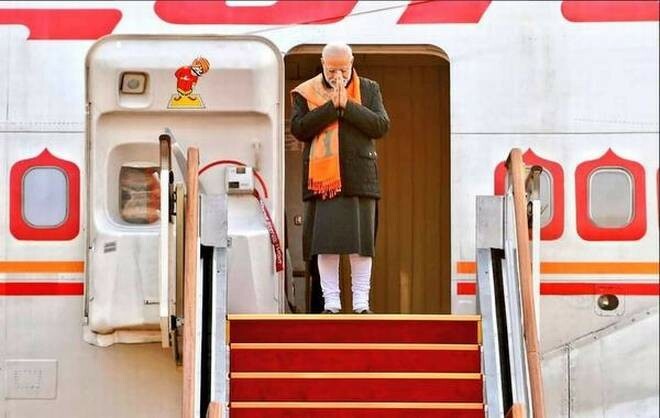 "During the visit, PM will have bilateral [and] business engagements, unveil Gandhi bust [and] accept the Seoul Peace Prize conferred upon him," Ministry of External Affairs spokesperson Raveesh Kumar tweeted. Kumar said the visit would strengthen India's strategic partnership with South Korea and add dynamism to the "Look East Policy". Modi met members of the Indian community in South Korea on his arrival in Seoul.